Burruezo & Burruezo is representing an employer in a harassment case brought on by an employee who felt she had been unfairly picked on by a former manager. The team flew out to the client’s west coast office to meet with the employee and company representatives. B&B ensured both sides understood how the law defines harassment. In addition to representing the company’s needs, B&B is also working with the employee to help her return to her job without fears of retribution. Burruezo & Burruezo represented an NBA star in a breach of contract dispute with an internationally renowned shoe company. The company refused to honor the terms initially agreed upon by the basketball player in which the basketball player would promote the brand in return for monetary compensation. B&B was able to negotiate on behalf of its client, culminating in a significant settlement. Having been terminated from his job, the client was due a severance that would’ve been representative of the work he had done. The client’s now former employer, however, was not cooperative in providing the compensation owed to the client. The client sought the help of B&B to recover the unpaid wages owed to him by his employer. Committed to righting the wrongs of the employer, Burruezo & Burruezo successfully obtained a settlement which encompassed the wages that the client was due. Burruezo & Burruezo represented a client who was wrongfully not paid overtime for hours worked over the regular 40 hour work week. His employer justified this by exempting the client from overtime because the client’s title carried managerial responsibilities. B&B was able to determine that the title was a ruse in that it carried no additional significant responsibility with respect to the client’s original job title. As a result of the findings, B&B was able to facilitate the fair payment of the overtime that the client had worked. 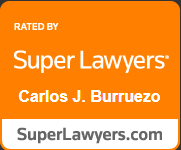 Burruezo & Burruezo frequently handle cases dealing with racial discrimination. In one case, the client was denied a promotion because her superiors could not “stomach” the fact that the client was Black. In addition to this, at her workplace the client suffered constant discrimination and harassment from her co-workers. At one point, the client even feared for her safety. She turned to B&B who swiftly took up her case in the name of what was right. B&B helped the client recover sufficient damages for having to work in an environment pervasive with discrimination and malice. Burruezo & Burruezo represented a woman who was experiencing sexual harassment at her workplace. Her immediate boss frequently made inappropriate comments and physical gestures that made the client feel uncomfortable and unsafe. When she went to her immediate boss’ boss, they turned her away going so far as to say they should not have hired a woman because they know the way that man could get. Following an unexpected work injury, the client was terminated. B&B took up the case and expeditiously provided financial recourse for the client.